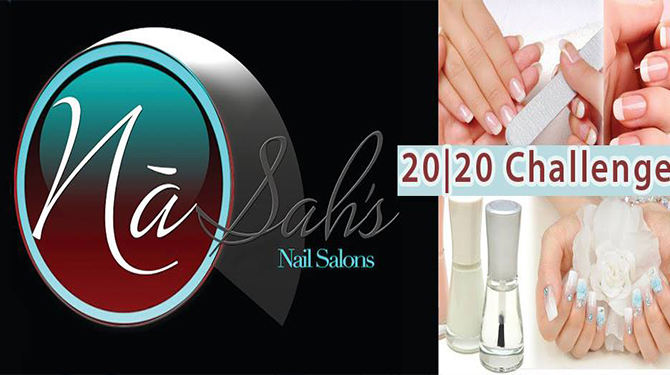 Nashville Nails and Salon Services by Na’Sah’s is a salon located in The Nashville International Airport. 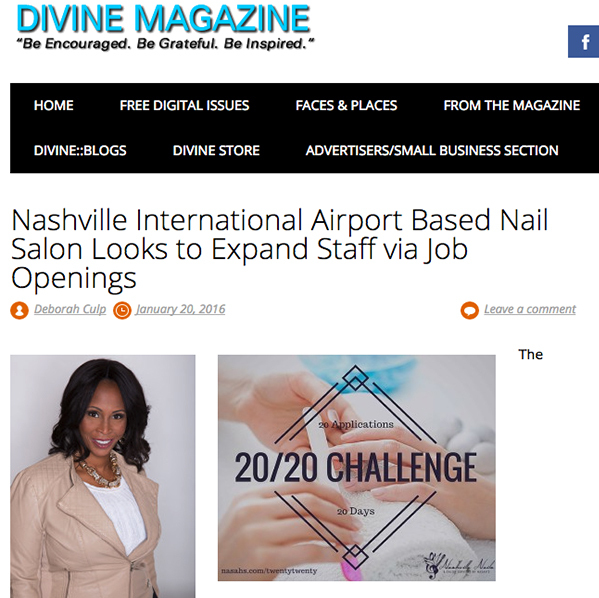 As Nashville as had an explosion in growth, so as the airport with travel into Music City increasing everyday. Na’Sah’s found itself in need of increasing its staff due to demand. 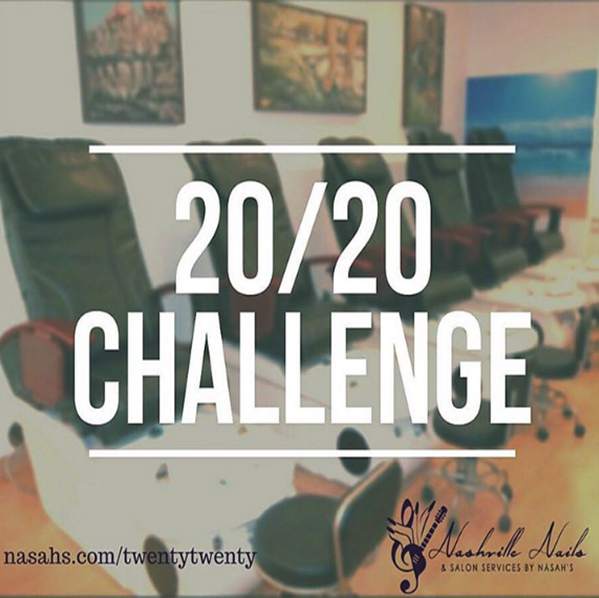 The 20/20 Challenge was born out of the idea of looking for 20 quality applicants in 20 days. While we used Facebook, Twitter, and Instagram to promote the challenge, we also reached out to more traditional media sources. 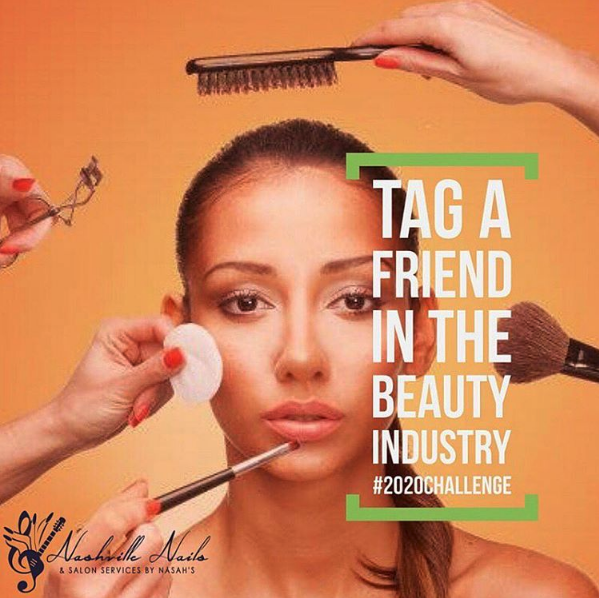 The Challenge was ran twice, both being a success increasing the staff of Na’Sah’s while also giving the salon media coverage.